The above copper half penny measures 21.0 mm and weighs 2.05 grams. It was issued by John Warner of the Bell and Dolphin in Aldersgate Street, London, in 1668. Obverse: (star) IOHN. WALNER. IN. 1668 , around twisted wire, within the depiction of a dolphin above a bell. Aldersgate Street ran north from the Altersgate in the city wall through the Ward of Aldersgate Without. 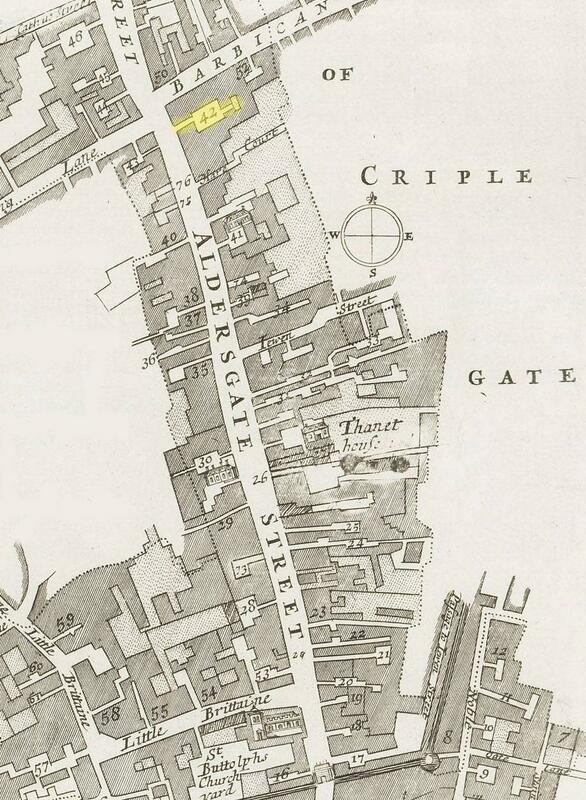 In John Ogilby and William Morgan’s 1676 Map of the City of London a “Bell Inn” is located at the northern end of Aldersgate Street at the location highlighted by location marker No.42 in the above street plan. 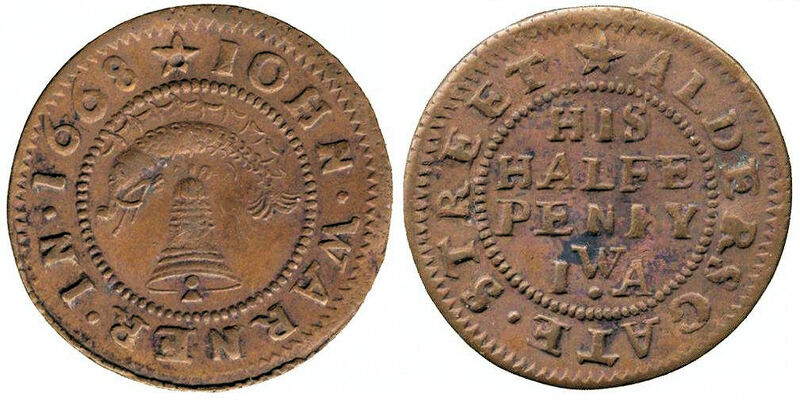 It is very probable that the Bell Inn can be identified with the Bell and Dolphin alluded to on John Warner’s half penny token of 1668. In the Hearth Tax returns for Altdersgate Street in 1666 John Warner is recorded as occupying a property having 11 hearths. This is very much in-line with him being an innkeeper. Based on the triad of his plus his wife’s initials on the reverse of his token it is possible that his wife’s name was Ann.